The standard tenure clock at Cornell is six years (except for the Johnson Graduate School of Management, which observes an eight-year clock). Under the six-year clock, the tenure process typically commences with the assembly of a tenure dossier at the end of the fifth year or the beginning of the sixth year. Under limited circumstances, including situations where an untenured faculty member is recruited after having spent time at another university, a shortened tenure clock is possible. According to university bylaws, a faculty member may not hold the position of assistant professor for more than the equivalent of six years of full-time service (eight years in the Johnson Graduate School of Management), unless, in the judgment of the provost, a temporary extension is warranted. 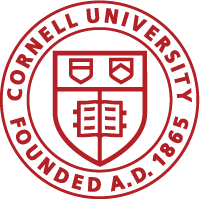 Tenure clock extensions are available only in limited circumstances, including family and medical leaves, Cornell Academic Parental Leave (see Policy 6.2.1, Leaves for Professors and Academic Staff, page 39), some forms of government or public service leaves, and situations where there have been substantial impediments to progress that were not in the faculty member’s control. The dean may request provost approval for tenure clock extensions through the Academic Human Resources Office. There is no provision at Cornell for de facto tenure after any number of years.